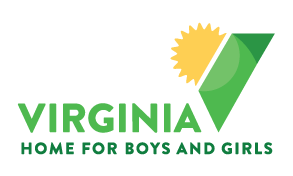 VHBG is the only accredited Teaching-Family Model site in the Commonwealth of Virginia. VHBG received its accreditation in 2003 and has consistently engaged the TFM in its Group Care Services since that time. For over 45 years, the Teaching-Family Model has provided a comprehensive, family-driven and youth guided array of services, organized in an integrated delivery system where all participants including families, youth, providers, and advocates share responsibility and accountability for the care and treatment of clients with mental health needs. The outcomes demonstrate that clients using the Teaching-Family Model have greater success post-treatment and move to environments less restrictive (costing society considerably fewer resources). It is critically important to encourage agencies using this model of care to continue their practice as well as support other agencies in need of a quality program and/or resources. TFA accreditation is the only accreditation available that demonstrates quality programming. Unlike other accreditations, it is focused on program components and as such, measures effectiveness by producing measurable outcomes because of implementation of an evidence-based program. In addition, the accreditation process requires outcomes be demonstrated, further reinforcing the achieving standards designed to provide high-quality delivery of services. It is a reliable indicator of the programming importance of action and programming versus paper and administration. For more information on the Teaching-Family Model or the Teaching-Family Association CLICK HERE. VHBG’s John G. Wood School is accredited by VAISEF, whose accreditation process has been approved by the Virginia Council for Private Education as authorized by the Virginia State Board of Education. 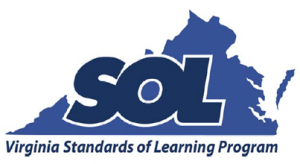 VHBG’s John G. Wood School is licensed by the Virginia Department of Education and aligned with the Virginia Standards of Learning.